Descripción: The LASIE project will design and develop a novel framework to assist forensic analysts in their investigations. The envisaged framework will be based on automated technology for advanced data processing supported by an important human component in critical decision making stages, as well as, legal and ethical aspects. The framework will consist of tools to automatically manipulate, analyse and fuse vast amounts of heterogeneous data acquired from different sources including CCTV surveillance content, confiscated desktops and hard disks, mobile devices, Internet, social networks, handwritten and calligraphic documents. The type of data considered includes text, images, video, audio and biometric information in multiple formats. In order to manage the results of the automated processing, a knowledge repository will be built. It will consider explicit analyst-knowledge and critical legacy information from previous cases. The proposed knowledge representation framework will also allow the system to provide recommendations to analysts, guide the investigation process and perform inference based on evidence extracted from available data. In LASIE, search and retrieval of evidence will be enhanced through the provision of complex query formulations and multimodal search mechanisms yet through a user-friendly, user-centric human-computer interface. The aim is to link and merge heterogeneous data retrieved from multiple sources to improve the knowledge-base and the accuracy of retrieved results. The envisaged user-friendly interface will allow analysts to easily visualise and navigate through the retrieved evidence, highlight relevant events and provide feedback to refine their search criteria. LASIE will follow a privacy-by-design approach, ensuring that all the aforementioned functionalities and the used forensic data strictly obey all legal and ethical restrictions and national laws. This ensures that the outcomes of the system will be accepted in European courts of law. Descripción: This project is going to deploy four trials for the validation of access services based on Connected TV (particularly, on the HbbTV standard technology) in several European regions. These trials are going to be focused on people with disabilities, elderly people and other social collectives. The next services are being considered: subtitling, clean audio, graphical interfaces and sign language interpretation. Moreover, user tests will be carried out to identify the parameters that determine the Quality of Experience when using access services. Descripción: RESCUER aims at developing a smart and interoperable computer platform for using crowdsourcing information mashed up with open data to support emergency and crisis management. The RESCUER platform will be capable of gathering crowdsourcing information in real-time as close to the place and time of the incident as possible. Descripción: OPTICITIES’ vision is to help European cities tackle complex mobility challenges. OPTICITIES’ strategy focuses on the optimisation of transport networks through the development of public/private partnerships and the experimentation of innovative ITS services. OPTICITIES addresses both passenger and freight transport issues supporting a user-centred approach, aiming at delivering significant innovation breakthroughs in the areas of governance schemes between public and private stakeholders, a common European urban multimodal dataset, novel decision support tools for proactive multimodal real-time transport management and urban freight support services. 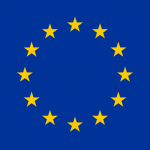 Descripción: FI-LINKS will support the process of evolving FI-PPP to a worldwide champion of Internet innovation by taking into account the specific business requirements of both large European industries and SMEs, supporting the adoption of the FI-PPP in non-covered EU regions and beyond, and validating the long-term vision of FI-PPP. To achieve these goals, FI-LINKS will establish a number of worldwide and regional links. These links will have a two-fold purpose. On the one side FI-LINKS will define a long-term vision for FI-PPP technologies and business models taking into account equivalent research and innovation schemes in the US, Japan, Canada and the BRICs, as well as other countries when deemed relevant. On the other side, FI-LINKS will promote the adoption of FI-PPP results in EU regions and development countries where the take-up of Internet innovation can occur quickly and impact local markets. To facilitate the identification of new EU and international stakeholder groups and support the exchange of knowledge and best practices between the FI-PPP and the larger FI community, FI-LINKS will organize European-level conferences and workshops. Descripción: FI-PPP partners have produced a large set of valuable assets which facilitate the development of novel applications offering enhanced user experience. The adoption of these results by creative SMEs and web entrepreneurs in application domains is mandatory for their sustainable exploitation and economic and societal impact raising.FI-ADOPT will promote the adoption of the FI-PPP assets and deliver a large number of innovative, multidisciplinary, multiplatform, stable and scalable applications- extensively using FI-PPP results- exploiting widely adopted and up-taking technologies and concepts including networked media, social networking, mobile apps and gamification- supporting key areas such as learning, training, well being and social integration.FI-ADOPT will engage innovative SMEs and web entrepreneurs by launching three transparent open calls. FI-ADOPT aims to attract the best small ICT players offering them high quality services including:- technical training and support based on FI-ADOPT ‘s platform and live events- improved access to funding, by organising investor readiness webinars, investment readiness programs and pitching events- business knowledge transfer and marketing guidance to contribute towards their sustainability- communication with all stakeholders enabled by the set-up of the FI-ADOPT innovation family which include SMEs, user groups, policy makers, innovation accelerators, FI-PPP partners.FI-ADOPT has devised an effective dissemination strategy (which includes e.g. workshops and exhibitions) considering it mandatory for the uptake of the FI-PPP vision.FI-ADOPT will be coordinated by INTRASOFT which has the required competences and financial viability to handle the sub-project financing procedure and includes partners associated with networks of SMEs and connected to investors and venture capitals from different countries (EMC2, EAI, EUN and PLAYGEN) as well as partners highly involved in FI-PPP: ATOS, UPM, SYN. Descripción: FOTsis is a large-scale field testing of the road infrastructure management systems needed for the operation of seven close-to-market cooperative I2V, V2I & I2I technologies (the FOTsis Services), in order to assess in detail both 1) their effectiveness and 2) their potential for a full-scale deployment in European roads. Specifically, FOTsis will test the road infrastructure’s capability to incorporate the new cooperative systems technology and provide the following services in four European Test-Communities (Spain,Portugal, Germany and Greece) regrouping 10 Test-Sites. Descripción: The XIFI Integrating Project aims to support advanced experiments on the FI-PPP core platform in order to leverage existing public investments in advanced infrastructures. In particular, XIFI is establishing a marketplace for test infrastructures and Future Internet services to cope with large trial deployments involving users. This is being achieved through a core federation of test infrastructures, and by coordinating efforts with ongoing FI infrastructures and pilots (FIRE, EIT ICT Labs, CIP pilots, Living Labs) assisted by investments in pan-European infrastructures such as GÉANT. Descripción: DATA SIM is an FP7 FET project financed by the Information Society and Media Directorate-General. DATA SIM aims at providing an entirely new and highly detailed spatial-temporal microsimulation methodology for human mobility, grounded on massive amounts of big data of various types and from various sources (e.g. GPS, mobile phones and social networking sites) with the goal to forecast the nation-wide consequences of a massive switch to electric vehicles, given the intertwined nature of mobility and power distribution networks.Led by the Transportation Research Institute (IMOB) of Hasselt University, the project consists of 9 partners from 7 different countries. support the Core Platformby consolidating detail about existing and emerging advanced infrastructures, and help define the required Generic Enablers for seamless integration and enable new and innovative experimentation. stimulate infrastructure owners to effectively “bridge the gap” between their current capabilities and Use Case requirements, thereby encouraging investment in upgrades and standards to realise these opportunities, and leading togreater sustainability. The project will produce an evolving series of recommendations, roadmaps, tactical actions and strategies that will enhance the potential for the identified infrastructures to participate in the trialling of FI-PPP Use Cases as the Programme progresses towards Phase 2. The goal of the FI-WARE project is to advance the global competitiveness of the EU economy by introducing an innovative infrastructure for cost-effective creation and delivery of services, providing high QoS and security guarantees. FI-WARE is designed to meet the demands of key market stakeholders across many different sectors, e.g., healthcare, telecommunications, and environmental services. The project unites major European industrial actors in an unique effort never seen before. The key deliverables of FI-WARE will deliver an open architecture and implementation of a novel service infrastructure, building upon generic and reusable building blocks developed in earlier research projects. This infrastructure will support emerging Future Internet (FI) services in multiple Usage Areas, and will exhibit significant and quantifiable improvements in the productivity, reliability and cost of service development and delivery – building a true foundation for the Future Internet. Service Delivery Framework – the infrastructure to create, publish, manage and consume FI services across their life cycle, addressing all technical and business aspects. Cloud Hosting – the fundamental layer which provides the computation, storage and network resources, upon which services are provisioned and managed. Support Services – the facilities for effective accessing, processing, and analyzing massive streams of data, and semantically classifying them into valuable knowledge. IoT Services Enablement – the bridge whereby FI services interface the Internet of Things through heterogeneous, resource-constrained and ubiquous devices. Interface to the Network and Devices – the open interfaces to networks and devices, harmonizing the connectivity needs of services built on top of the platform. Descripción: The main objective of the DECOMOBIL project is to provide the necessary support and experts knowledge to enable the whole European eSafety for smart, clean and safe mobility community and forum, in the field of Human Machine Interaction and Human Centred Design for Information and Communication Technology, taking into account that eSafety forum has to tackle notably safety but also smart and clean mobility, and is to bring updated scientific adequate knowledge within a smart of scientific evidence specialisation. The intention is to build on the work conducted so far, during the HUMANIST Network of Excellence and from the HUMANIST Virtual Centre of Excellence that follows it. Descripción: The main goal of the SIMPLE project is to research and deliver an intelligent, self?organizing embedded middleware platform, with particular emphasis on the integration of manufacturing and logistics. SIMPLE will address the issue of supporting the self?organization and cooperation of wireless sensors and smart (RFID) tags for federated, open and trusted deployment environments in the manufacturing and logistics application domains. The primary idea is to enable the dynamic interworking of ultra heterogeneous sensors and tags, which should autonomously organize in hierarchies, thus leveraging the development of a new class of secure, scalable, cost?effective, and easy?to?deploy “smart factory” and logistics applications. The SIMPLE outcomes aim at compensating the current lack of open?source and commercial solutions capable of monitoring the state of shipments at different grouping levels (e.g., at the crate and case levels) and, more generally, of tracing goods along the whole supply chain, for instance by storing and reporting relevant environmental conditions to determine the health of goods after the production/shipment processes. Descripción: The project will develop a heterogeneous network concept for future European Public Safety communications. This will be based on the integration of different networks, including ad hoc deployable systems. The project will be focused on the integration of existing communication systems including private mobile radio systems such as TETRA and TETRAPOL. It will consider the latest developments in the area of next generation network architectures and network management. The heterogeneous network concept will allow for the rapid integration of available communication resources in the event of crisis or disaster. It will allow the optimisation of resource allocation to support the daily operations of public safety agencies. Furthermore it will provide those agencies with a set of advanced digital services that are required for their daily operations. The heterogeneous communications more efficiently and with a higher level of reliability. The project will continue to consolidate the work and results of several other international projects in the area of public safety communications and ambient networking.The work of the project will be carried out in cooperation with the public safety user organisations that are the part of HNFS consortia. The project will support the integration of European efforts to consolidate public safety user requirements, through its participation in PSCE forum. It will contribute to the interoperability of emergency communications systems at national and international levels and will work in close cooperation with the standardisation community. The project will promote an integrated and systemic approach for European public safety communication. The test bed developed in the project will be implemented in cooperation with other international projects. It might be used as a platform for interoperability testing and evaluation by different research and industrial organisations in the future. The innovative aspects of the project are in the area of the heterogeneous internetworking environment architecture, the network optimisation (according to the requirements of public safety users), and the incorporation of intelligence into network control which means it will be able to respond to a variety of emergency situations. Descripción: Este proyecto trata la realización y coordinación de una arquitectura para el Future Media Internet, la elaboración de una hoja de ruta para la investigación en Future Media Internet comparando la investigación con EEUU y Japón, la organización de eventos científicos de alto nivel y promoción de los resultados de los proyectos Europeos fuera de Europa y de la estandarización de los resultados de investigación en Future Media Internet. • To keep a high visibility of the NEM Initiative thanks to publication of the NEMLetter and new communication tools where needed. • To promote the contribution of NEM to the various Future Internet coordination instruments in order to keep a high profile of content related matters in the Future (Media) Internet. • To support the organisation of the Open NEM discussion Forum that will advise the platform on various issues. • To prepare the definition of the future of the NEM Initiative, NEM2.0. • To assist the production of relevant positions on research directions and to organise the emergence of NEM public positions. • To support the organisation of the NEM Summit. • To facilitate liaison with other R&D communities around the world in order to promote the NEM messages. • To promote NEM to new communities, especially Content producers. • To develop the presence of NEM at the national/local level in order to involve more SME actors in its works. – Discovery, evaluation and selection of trusted routes based on multiple security metrics and key pre-distribution methods. The overall scheme must support secure routing even with disappearing nodes, multiple levels of in-network processing and multiple layers of aggregation.· Moreover to protect the secure routing information from traffic analysis attacks, we will research utilisation of dynamic obfuscation of relationships. – Secure Service Discovery, providing an extremely low power network-level security framework, which will protect service discovery messages inside the AWISSENET, when crossing unknown domains or when interacting with public service providers. – Intrusion detection, intruder identification and recovery based on distributed trust to provide security against malicious attacks. – Highly Secure sensor nodes against attacks from malicious users having actual access to the· sensor nodes. SEAmless Content Delivery. Comisión Europea. Descripción: Towards this forthcoming age, SEA (SEAmless Content Delivery) project aims to offer a new experience of seamless video delivery, maintaining the integrity and wherever applicable, adapting and enriching the quality of the media across the whole distribution chain. – Multi-layered/-viewed content coding, considering the evolving H.264 SVC/MVC and their emerging successors, as the major foreseen delivery technologies over heterogeneous networks/terminals and large audiences. – Multi-source/-network content streaming offering on-the fly content adaptation, increased scalability and enriched PQoS by dynamically combining content layers or representations of the same resource, transmitted from multiple sources and/or received over multiple networks. – Cross-network/-layer optimisation. The network/terminal heterogeneity, also engaging P2P overlays and serving different quality and views will require cross-layer optimization, traffic adaptation and optimal use of the available network/terminal resources. – Content Protection. A hybrid solution for personalised content protection by means of a combination of streaming encryption, content protection and rights management for new media, covering not only the legacy content creation chain, but also the private multimedia content. Descripción: El objetivo de este proyecto es mejorar la efectividad y eficiencia de la vigilancia y control del tráfico por parte de las autoridades. Para este fin se analizan todos los aspectos de dicha actividad, desde pautas de comportamiento de grupos de riesgo de conductores a estrategias de vigilancia y control, pasando por métodos de detección de infracciones o procedimientos legales. Desde el punto de vista técnico, se analizan las necesidades de datos de la actividad y el impacto potencial de cualquier tecnología que se pueda emplear para alcanzar el objetivo del proyecto. ARENA - "Advanced Audience measurement Research Extended to New convergent media Applications and services” Unión Europea VI PM. Descripción: ARENA es un proyecto que desarrollará la medición de audiencias en los nuevos medios digitales a través del establecimiento de una metodología básica que pueda ser aplicada a diversas plataformas y servicios, además de crear y demostrar implementaciones específicas para MHP sobre TDT y Satélite, Video-on-Demand / Content-on-Request sobre ADSL y servicios de TV móvil en DVB-H. Esto se realizará por medio de la creación de un modelo de referencia que sea aplicable a cualquier situación donde el contenido digital pueda ser transferido por medios alámbricos o inalámbricos y su posterior simulación antes de ir a implementaciones concretas. Además se validará y demostrará mediante 4 tests de campo en Inglaterra, España. Italia y Alemania. Network of Excellence HUMANIST: Human centred design for Information Society Technologies. Unión Europea (IST 507420). Ministerio de Economía y Competitividad (RTC-2015-4180-6). Descripción: SLIBE tiene como objetivo el desarrollo de una plataforma que permita el intercambio de audio y vídeo en directo (tiempo real) y con ambos perfectamente sincronizados que permita dar soporte a diferentes grupos de interés como pueden ser operadores de televisión, compañías de seguridad, aseguradoras, instituciones de educación, y un amplio etc, de cara a seguir ampliando las posibilidades de comunicación interpersonal y del teléfono inteligente. Para conseguir estos objetivos, se desarrollarán soluciones tecnológicas de emisión desde dispositivos móviles y recepción de audio y vídeo en directo entre varios participantes que puedan ser intermediadas a través de la propia plataforma. Descripción: El objeto del Proyecto Smart ePlatform TV (TVEO), es la creación de una Plataforma Tecnológica y un entorno de gestión que posibilite un “modelo de Servicios Interactivos”, facilitando la edición, creación y personalización de contenidos. Con esta Plataforma se pretende dotar a los operadores, o a cualquier actor vinculado a la cadena de valor del sector media, de la capacidad de interactuar con los consumidores de contenidos, acercando y extendiendo el modelo de televisión interactiva. RECOPUBLI - REd COoperativa e interactiva de PUBLIcidad digital dotada de sistemas de gestión de medios. Ministerio de Economía y Competitividad (IPT- 2012-0152-430000). Descripción: El proyecto RECOPUBLI tiene como objetivo el desarrollo de una solución tecnológica y su integración para la aplicación de nuevas formas de personalización e interacción con los contenidos digitales, dentro del ámbito de los anuncios publicitarios. El proyecto plantea la generación de un sistema capaz de obtener información sobre preferencias, tendencias y hábitos de consumos en los usuarios, así como la creación de un motor de recomendación publicitario de orientación híbrida y contextual. Las investigaciones se completarán con la realización de un piloto y una serie de pruebas con usuarios reales que permita evaluar las prestaciones y la eficiencia del sistema. Descripción: El objetivo del proyecto es investigar sobre las tendencias de producción de contenidos digitales inmersivos y toda la cadena de valor involucrada (producción, transmisión y recepción), desarrollando la interactividad e inmersividad más allá de la actual 3D estereoscópico. De este modo, se pretende que el usuario final experimente la sensación de pertenecer al propio escenario que está visualizando, pudiendo interactuar con él en cualquier dirección espacial. Los resultados esperados del proyecto son: nuevas formas de producción de la producción audiovisual de la que, ahora, el propio usuario puede ser partícipe, nuevos desarrollos en gestión audiovisual, realidad aumentada, e interacción con el entorno, optimización de la capacidad de tratamiento de la información audiovisual compleja, o nuevas formas de concebir el entretenimiento (cine, videojuegos, …), la formación y la educación. El proyecto ha sido cofinanciado por el Ministerio de Industria, Energía y Turismo, dentro del Plan Nacional de Investigación Científica, Desarrollo e Innovación Tecnológica 2008-2011. WEPARK: Sistema De Vídeo Analítico para Gestión Dinámica de Aparcamiento en la Vía Pública (WePARK). Ministerio de Industria, Turismo y Comercio (TSI-020100-2011-57). Descripción: El proyecto WePARK tiene como objetivo ofrecer un sistema innovador de detección de estacionamiento y características del mismo, en la vía pública mediante el procesado distribuido de vídeo captado por la red de cámaras disponibles en la zona de interés. Esta información recogida por las cámaras se traducirá en una aplicación móvil para la consulta/interacción con el servicio por parte de los usuarios de vehículos. ICT 2020. Ministerio de Industria, Turismoy Comercio (TSI-020302-2011-23). · Integración de la red de acceso satélite con los nuevos sistemas de distribución por fibra óptica de la ICT. · Investigación de soluciones para la convergencia de servicios satelitales triple play (video, voz y datos) en el entorno de la ICT, incluyendo servicios en banda Ka de alta capacidad. · Análisis de las implicaciones que los nuevos servicios multimedia tendrán sobre el nuevo escenario de la ICT. · Desarrollo de equipamiento compatible con la solución e integración final. SIRENA: SIstemas y tecnologías 3D Media sobre Internet del Futuro y REdes de difusión de NuevA generación. Ministerio de Economía y Competitividad (IPT-2011-1269-430000). Descripción: El proyecto SIRENA tiene como objetivo establecer un nuevo servicio de distribución multimedia en red innovador en el ámbito mundial, que permita la gestión y distribución inteligente de contenidos por redes de telecomunicación de nueva generación, basado en la constitución de una nueva arquitectura de red de envío de contenidos y nuevas tecnologías multimedia donde los nuevos formatos de contenidos (2D, 3D e inmersivos) sean transmitidos por dichas redes de forma transparente a la red y al usuario. EPSIS: ENTRETENIMIENTO Y PUBLICIDAD SEGMENTADA EN ENTORNOS INMERSIVOS. Ministerio de Economía y Competitividad (IPT-2011-1393-430000). Descripción: El objetivo de EPSIS es la creación de una PLATAFORMA la cual, a través múltiples canales, permita la generación, personalización y distribución de contenido publicitario segmentado. EPSIS introduce tecnología disruptiva en toda la cadena de valor del contenido, desde la generación hasta su distribución, sobre nuevos conceptos AVA – Advanced Video Advertisement, y redes sociales. EPSIS plantea un nuevo paradigma de entretenimiento y publicidad que interrelaciona: perfiles de usuarios en redes sociales, experiencias online de jugadores, distribución en múltiples canales y formatos de producción, entre los que se encuentran los dispositivos móviles y la televisión como referencia principal. MIREIA: Distribución de contenidos mediante Motores Inteligentes de Recomendación Adaptados a Redes Sociales. Ministerio de Economía y Competitividad (IPT-2011-2015-430000). Descripción:MIREIA es un proyecto que pretende el desarrollo de un motor de recomendación de contenidos enfocado al mercado publicitario que permita crear una base sólida para el desarrollo de una amplia gama de servicios de muy diversa índole en el ecosistema audiovisual de la Internet del Futuro, especialmente sobre la Internet de las Redes y los contenidos. Se pretende que MIREIA se ofrezca como un SaaS (Software as a Service) integrable con las plataformas de tanto los productores de contenidos, agencias de medios y plataformas de envío a usuarios finales. Descripción: Este proyecto posee dos partes bien diferenciadas, por un lado el diseño y el desarrollo de una plataforma de emisión de contenidos HbbTV, que culminará con un piloto real de emisión, y por otro, la integración de una redacción multimedia de un grupo de comunicación con distintos medios: prensa escrita, prensa electrónica, radio y televisión. Al final del proyecto, se producirá la integración de las dos partes, de modo que las aplicaciones HbbTV sean una forma más de distribuir el contenido multimedia. La labor de la Universidad Politécnica de Madrid se concentra fundamentalmente en el lado de la plataforma HbbTV. Descripción: El objetivo común del Proyecto TECMUSA consiste en la investigación industrial planificada, en cooperación, en el ámbito de los vehículos eléctricos e híbridos, orientada a la adquisición de nuevos conocimientos y aptitudes relativas al desarrollo de nuevas tecnologías asociadas a dichos vehículos, combustibles de última generación, suministro de energía eléctrica, gestión de flotas y sistemas de información y comunicación, para lograr un transporte urbano de personas y de mercancías eficaz, eficiente energéticamente, respetuoso con el medio ambiente y accesible a todos los usuarios. Descripción: El proyecto PHIDIAS abre una nueva ventana a la TV tradicional a través de las redes de comunicación por Internet. En PHIDIAS se pretende crear un enlace entre el mundo de la radiodifusión con topología clásica de envío de información punto a multipunto y el mundo de Internet con una topología propia de las redes de banda ancha punto a punto. El proyecto pretende desarrollar una plataforma de TV híbrida que deberá permitir a los usuarios disfrutar de este tipo de experiencias. Se trabajará en la infraestructura hardware y software específica para enlazar dos mundos tecnológicos dispares (radiodifusión e Internet). PHIDIAS también estudiará fórmulas avanzadas de publicidad aparecidas a partir de esta nueva manera de entender la experiencia televisiva, al tiempo que analizará nuevas técnicas y metodologías que faciliten la extracción de información de audiencias y comportamientos de uso. ITACA 3D. Plataforma de creación, producción y distribución de video estereoscópico de entretenimiento para la visualización de televisión en 3D a través de briadcast. Ministerio de Industria, Turismo y Comercio (TSI-020110-2009-396). Descripción: El objetivo del proyecto es la creación de una plataforma de creación, producción y distribución de vídeo estereoscópico de entretenimiento para la visualización de televisión en 3D a través de redes broadcast. Desarrollar formatos optimizados de contenidos 3DTV para televisiones comerciales en términos de compresibilidad , eficiencia, renderización y satisfacción del usuario. JOI. Juegos Olímpicos Interactivos. Ministerio de Industria, Turismo y Comercio (TSI-020110-2009-430). -La transmisión adaptada a diferentes medios físicos, que van desde la transmisión de televisión de alta definición por satélite o TDT hasta la transmisión por medio de Internet de dichos eventos, junto con la información completa de las acciones que ocurren en los eventos. -La personalización de la información recibida a los usuarios según su perfil, por medio de algoritmos de recomendación audiovisual que permitan adaptar la señal audiovisual del evento a su perfil de consumo. -La aplicación del sistema a desarrollar a la transmisión de eventos deportivos múltiples, como son la retransmisión de olimpiadas o campeonatos del mundo de atletismo, donde concurren varios eventos deportivos a la vez. -El desarrollo de un demostrador para la transmisión en múltiples medios de las olimpiadas de invierno de Vancouver. Descripción: El proyecto desarrollará un concepto de red heterogénea para establecer comunicaciones que ayuden a gestionar crisis de seguridad. Este concepto estará basado en la integración de distintas redes incluyendo sistemas ad hoc de despliegue rápido. El proyecto estará centrado en la integración de sistemas de comunicación existentes incluyendo sistemas de radio móviles privados como TETRA y TETRAPOL. Además se considerarán los últimos desarrollos en el área de arquitecturas y gestión de red de próxima generación. Descripción: Investigación prenormativa sobre sistemas ITS para el peaje en sombra. PISA. Ministerio de Industria, Turismo y Comercio (TSI-020302-2009-40). Descripción: El proyecto consiste en la creación de una plataforma para la asistencia sanitaria remota. Esta plataforma cuenta tanto con una interfaz en el lado del personal sanitario como una en el lado del paciente. En este último caso se pretende la utilización de terminales móviles. La parte de la UPM consiste en la implementación del mecanismo de videoconferencia entre paciente y personal sanitario. FURIA 2009. Futura red integrada audiovisual. Ministerio de Industria, Turismo y Comercio (TSI-020301-2009-33). Descripción: FURIA es un proyecto de naturaleza PSE (Proyecto Singular Estratégico) en el área de las Tecnologías Audiovisuales en Red, cuyo objetivo principal es desarrollar y validar la integración de las tecnologías emergentes para la difusión de contenidos audiovisuales a terminales fijos y móviles , aunando los esfuerzos de diversas organizaciones nacionales (empresas, centros tecnológicos y universidades) para mantener al país en un alto nivel tecnológico. El consorcio de FURIA podrá finalizar etapas de investigación y desarrollo en el campo de las nuevas tecnologías de difusión de contenidos audiovisuales, y realizará valiosas contribuciones a los cuerpos de estandarización en el ámbito de los foros de la industria, para elaborar y construir proposiciones técnicas para el futuro del Digital Vídeo Broadcasting. Se pretende generar resultados de investigación que no serán de aplicación inmediata, pero que servirán para, en fases posteriores al desarrollo del proyecto, generar resultados pre-industriales. Descripción: El objetivo principal del proyecto es crear un laboratorio experimental de la Alta Definición en TDT que permita explorar todas la posibilidades que ofrece esta tecnología y mostrar sus resultados y posibilidades a todos los integrantes del ForoTVAD. I-LAB 2. Plataforma interconectada para la definición, implementación y pruebas de servicios, aplicaciones y productos basados en el estándar MHP. Ministerio de Industria, Turismo y Comercio ( TSI-020100-2008-440). Descripción: La definición de un entorno de pruebas interconectado para apoyar y guiar el desarrollo de los servicios, productos y aplicaciones interactivas basadas en el estándar MHP Implementación del entorno interconectado y distribuido en red y prueba mediante servicios y aplicaciones reales. Compartición y validación de los resultados obtenidos en el conjunto del proyecto con los actores involucrados en las distintas etapas y todas aquellas entidades que por su labor puedan ver mejorada su base tecnológica y competitividad, en base a la adscripción al mismo, incluyendo a la SETSI si así lo considera necesario. Descripción: El proyecto consta de dos partes bien diferenciadas, que se corresponden con dos fases del proyecto. La primera fase consiste en el diseño e implementación de un módulo que monitorice automáticamente y en tiempo real la prestación de servicios de accesibilidad por parte de los operadores de televisión. En esta parte se concentra la participación de la UPM. La segunda fase consiste en la implementación de un audímetro para servicios de accesibilidad. Descripción: Investigación y desarrollo de software para la producción automatizada de contenido audiovisual interactivo para nueva generación de móviles. El proyecto aspira a la creación automática de contenidos multimedia destinados a dispositivos móviles gracias a las capacidades que integran las nuevas generaciones de este tipo de equipos. El trabajo de la UPM consiste en la integración de un sintetizador de voz de manera que se incorpore automáticamente la locución de las noticias. 3SME PLATAFORMA PARA EL ANALISIS SEMANTICO Y MEDICION DEL IMPACTO DE CONTENIDOS Y CLIMA SOCIAL EN UN ENTORNO MULTICANAL (INTERNET, RADIO, TDT Y MOVILIDAD). Ministerio de Industria, Turismo y Comercio (TSI-020302-2008-69). PRO-TVD-CM “Proyecto Integral de Investigación en Televisión Digital”. Comunidad de Madrid. Descripción: Se trata de un programa en el marco de programas de actividades de I+D de la Comunidad de Madrid que reúne a varios grupos de investigación con una amplia experiencia en Televisión Digital y Comunicaciones.El objetivo es desarrollar un plan de investigación para abordar el estudio de las soluciones tecnológicas actuales implicadas en el despliegue de la Televisión Digital Terrestre (TDT) y su inevitable evolución en los próximos años. Descripción: Piloto para el estudio de las mejoras de atención a pacientes crónicos mediante TDT 2008. Descripción: Desarrollo de servicios interactivos vía TDT e IPTV para piloto demostrador en Uruguay. Descripción: Universalización de la disponibilidad de los servicios de TDT gracias a la utilización del satélite, que permite extender la cobertura frente a las dificultades inherentes a las redes terrestres. ARCA Plataforma MHP para la recuperación de contenidos audiovisuales a través de canal de retorno. Ministerio de Industria, Turismo y Comercio (FIT-330300-2007-20). Descripción: Proyecto de investigación industrial, con un elevado grado de innovación tecnológica, centrado principalmente en explorar las posibilidades que un canal de retorno de banda ancha ofrece en el ámbito de la televisión digital terrestre para el desarrollo de servicios interactivos avanzados, que permitan a los usuarios el acceso a servicios similares a los ya existentes en Internet. Una implementación práctica de este proyecto será el desarrollo de un servicio de tráfico avanzado, que proporcione información visual de tráfico a través del canal de retorno TDT de banda ancha. Descripción: Activa pretende asentar las bases para la implantación de emisiones en alta definición para redes de cable. Aborda la cadena de valor del cable extremo a extremo, investigando en la interoperabilidad de señales, calidad audiovisual y calidad de servicio percibida. Descripción: Este proyecto pretende contribuir a la prestación de servicios asistenciales empleando las nuevas tecnologías. Se pondrán en marcha varios pilotos de monitorización de pacientes empleando tecnologías móviles y, en particular, DVB-H.
Descripción: Palco HD pretende mejorar los sistemas de medida y control de calidad para alta definición tanto en el entorno de producción, como en recepción, independientemente de las plataformas de distribución empleadas. Entre sus objetivos se encuentran realizar investigaciones sobre la medida de calidad objetiva en el entorno de producción, y el desarrollo de nuevo instrumental de medida para DVB-S2. Descripción: Proyecto en el que se están desarrollando servicios y aplicaciones para todos los colectivos de personas con discapacidad con el objetivo de lograr la accesibilidad de la TV digital. Descripción: El objetivo general de SAMCI es desarrollar y p oner en práctica para infraestructuras un sistema de monitorización inalámbrico de parámetros electroquímicos, medioambientales y mecánicos entre otros mediante sensores embebidos o adheridos a infraestructuras civiles y edificios que permita evaluar el estado actual de la estructura y predecir la evolución de los mismos. SICOM- SISTEMA DE INSERCIÓN DE CONTENIDOS MHP DE BANDA ANCHA PARA COMUNIDADES -Ministerio de Industria, Turismo y Comercio (FIT-330300-2006-24 y FIT-330300-2007-11). Descripción: Este proyecto aspira a extraer todas las aplicaciones interactivas (de todos los operadores) que llegan a una comunidad de vecinos y formar un nuevo flujo de transporte integrado únicamente por esas aplicaciones, de modo que se puedan transmitir con mayor régimen binario dentro de la comunidad. Además, se podrán añadir aplicaciones de valor añadido para la comunidad (por ejemplo, avisos del administrador). Ikusi se encarga de hacer un modulador de bajo coste, Novagenia, del software, nosotros, de las aplicaciones de valor añadido para la comunidad y Xpertia, de la coordinación en la práctica y de llevar a cabo el piloto. I-LAB Plataforma interconectada para la definición, implementación y pruebas de servicios, aplicaciones y productos basados en el estándar MHP. Ministerio de Industria, Turismo y Comercio (PROFIT-330300-2006-69). Descripción: El proyecto i-LAB plantea la creación de un consorcio de gran potencialidad, basado en la mayor neutralidad posible frente al mercado, para la realización de entorno de prueba interconectado para apoyar y guiar el desarrollo de los servicios, productos y aplicaciones interactivas basadas en el estándar MHP dentro del marco de desarrollo impulsado por el despliegue de la Televisión Digital Terrestre y el Plan Nacional de I+D. Descripción: El objetivo principal del proyecto es analizar la situación de la televisión de alta definición en el mundo y especialmente en España, a nivel técnico, de reglamentación, etc para facilitar e impulsar el correcto despliegue de la televisión de alta definición en España. Descripción: El objetivo de este proyecto es desarrollar y validar la integración de las tecnologías emergentes para la difusión de contenidos audiovisuales a terminales fijos /Móviles, a través de la creación de un consorcio español de empresas, que puedan evaluar y analizar las nuevas tecnologías de difusión de contenidos audiovisuales y realizar valiosas contribuciones a los cuerpos de estandarización en el ámbito de los foros de la industria como DVB, para elaborar y construir proposiciones técnicas para el futuro del Digital Video Broadcasting, aprovechando la situación privilegiada que tiene en este momento la industria española en las nuevas tecnologías de difusión audiovisual. Descripción: Eritea pretende el desarrollo de un enlace robusto inalámbrico para señal con calidad de contribución. Introduce avances en la capacidad y robustez del canal de comunicación, e incluye la etapa de compresión de señal configurable para soportar desde formatos de definición estándar hasta alta definición. Descripción: El proyecto busca como objetivos el desarrollo de herramientas Open Source que permitan crear una comunidad de administraciones locales y empresas que compartan experiencias, tecnologías y conocimiento en el desarrollo de servicios al ciudadano utilizando Televisión Digital Terrestre. El objetivo del proyecto Open TDT Local es el desarrollo de un framework de desarrollo de servicios al ciudadano por parte de administraciones locales mediante el uso de TDT y que permita la integración con sus BackOffice municipales. INSPIRA Programa Nacional de Tecnología Electrónica y de Comunicaciones / Acción Estratégica en Televisión y Radio Digital. Ministerio de Industria, Turismo y Comercio. (PROFIT-330300-2005-53). Descripción: Consiste en la implementación y difusión de servicios interactivos de interés ciudadano sobre el estándar MHP. Para comprobar la utilidad y usabilidad de las aplicaciones interactivas se llevaron a cabo pruebas con usuarios reales mediante el despliegue de 40 receptores interactivos en Madrid y Salamanca. Este piloto fue responsabilidad del G@TV-UPM. MEDTV+ Programa Nacional de Tecnología Electrónica y de Comunicaciones / Acción Estratégica en Televisión y Radio Digital. Ministerio de Industria, Turismo y Comercio. (PROFIT-330300-2005-54 ). Descripción:Después de que en el proyecto previo MEDTV se desarrollase un modelo de referencia para la medición de audiencias en televisión digital, en el proyecto MEDTV+ se llevó a cabo una implementación concreta del modelo, caracterizada por la utilización de aplicaciones MHP sobre receptores interactivos convencionales. Descripción: Desarrollo de tecnologías para monitorización y gestión de procesos constructivos utilizando redes de sensores sin hilos. Programa Nacional de Construcción. Ministerio de Educación y Ciencia. Smart-Sensing ( PROFIT FIT-340000-2005-227) Programa Nacional de Tecnologías Informáticas. Ministerio de Industria, Turismo y Comercio. Descripción: Investigación y desarrollo de una plataforma distribuida de microsensorización y actuación sin cables basada en redes malladas de motas, aplicable a la construcción y explotación de infraestructuras complejas inteligentes. Descripción: El proyecto PLEASE (PLataforma de alta Eficiencia Avanzada para diStribución de contEnidos) consiste en la especificación, diseño y desarrollo de una plataforma de distribución de contenidos, utilizando sistemas de codificación de vídeo de alta eficiencia y distribución dinámica mediante técnicas basadas en la nube. PLEASE aspira a desarrollar y aplicar las tecnologías que supondrán el siguiente gran paso evolutivo de los sistemas audiovisuales, tales como la televisión de ultra alta definición (UHD – 4K), la codificación de vídeo H.265/HEVC, el streaming adaptativo dinámico de vídeo sobre MPEG-DASH y la distribución de contenidos en redes IP. El proyecto PLEASE incluye dos demostradores, uno de difusión de contenidos de UHD sobre el estándar DVB-T2 y otro de streaming sobre IP. Si bien ambas tecnologías pueden parecer distantes, están muy relacionadas, dentro del proceso de convergencia que caracteriza en la actualidad al hipersector de las TIC. Descripción: El proyecto Innterconecta ADAPTA se centra en el desarrollo de soluciones tecnológicas y su integración para la aplicación de nuevas formas de personalización e interacción en el ámbito de los contenidos digitales, desarrollando mecanismos innovadores para la interacción de los usuarios con los contenidos publicitarios. Un sistema capaz de ofrecer contenidos multimedia y servicios interactivos avanzados personalizados de interés para diferentes grupos, incluyendo al colectivo de personas discapacitadas. Un sistema capaz de obtener información sobre preferencias, tendencias y hábitos de consumo de usuarios. Llegar incluso a captar sus emociones experimentadas en el consumo del contenido. Descripción: CIUDAD2020 concibe, diseña e implementa un nuevo paradigma de ciudad sostenible y eficiente sustentada sobre tres ejes fundamentales: 1) energía, 2) transporte y 3) control medioambiental. Para ello, se postula a la Internet del Futuro como el elemento habilitador básico capaz de estimular las sinergias entre los ejes antes citados así como la interacción con los ciudadanos haciendo que CIUDAD2020 se convierta en un modelo de referencia hacia el que toda ciudad deba evolucionar si se quiere alcanzar los cánones de calidad de vida, eficiencia y sostenibilidad que deben imperar en las urbes del siglo XXI. A tal fin, se ha conformado un consorcio de empresas y OPIS con gran experiencia a nivel nacional e internacional que asegura la proyección de los resultados obtenidos durante la ejecución de la propuesta. Descripción: El objetivo de este proyecto es la puesta en marcha de una plataforma accesible de búsqueda de ofertas de empleo y de teleformación especialmente pensada para las personas con discapacidad y disponible tanto a través de la pantalla de ordenador como de la pantalla de televisión (mediante el estándar HbbTV). Además, la plataforma ofrecerá otros servicios, como un portal de información destinada tanto a trabajadores con discapacidad como a empleadores. Descripción: BUSCAMEDIA es un proyecto CENIT que pretende lograr un significativo avance en las áreas de semántica, producción audiovisual y distribución de media enriquecido con independencia de redes y terminales de consumo, con el objetivo de crear un buscador semántico multimedia único en el mundo. Buscamedia es un proyecto que pretende el desarrollo de tecnologías de búsqueda multimedia y gestión automatizada de activos que permita crear una base sólida para el desarrollo de una amplia gama de servicios de muy diversa índole en el ecosistema audiovisual. Con ello se pretende situar a la industria española a la cabeza del estado de la técnica en sistemas de búsqueda y producción multimedia, así como automatización de procesos audiovisuales, apoyando la innovación en estas tecnologías con el desarrollo de ontologías basadas en semántica española, que sirvan de base para una clasificación audiovisual propia, que permita explotar el potencial de los mercados con presencia lingüística hispana. Dentro de estos desarrollos lingüísticos se incorporarán todas las lenguas co-oficiales del Estado, de manera que manifieste la característica inter-territorial y se garanticen los derechos constitucionales. Descripción: La Plataforma Tecnológica Española de la Carretera y El Grupo de Aplicación de Telecomunicaciones Visualeshan suscrito un acuerdo para la generación de una visión estratégica de los Sistemas Inteligentes de Transporte (ITS) y los Sistemas Cooperativos en el sector de la Carretera. La definición de la orientación y prioridades de I+D+I en el área, en cooperación con organismos nacionales e internacionales, y el fomento de la difusión pública serán los objetivos fundamentales de este convenio. Descripción: Se contempla la investigación sobre la mejora, implementación y aplicación de técnicas de imagen multiespectral en el rango no visible para el estudio de obras de arte a través del diseño de un nuevo método de adquisición y algoritmos de procesado de imágenes multiespectrales así como la integración de los trabajos en la aplicación VARIM. Descripción: El proyecto Operación de Autopistas Seguras, Inteligentes y Sostenibles (OASIS) tiene como objetivo principal definir la autopista del futuro, aquella que en su operación presentará niveles diferencialmentesuperiores de seguridad, servicio al usuario y sostenibilidad. Convenio Indra - Fundación Adecco- UPM / Cátedra sobre Accesibilidad. Descripción: La Universidad Politécnica de Madrid, Indra y la Fundación Adecco han suscrito un acuerdo para la creación de la Cátedra de Tecnologías Accesibles. Esta nueva Cátedra Universidad-Empresa desarrollará sus actividades en la Escuela Técnica Superior de Ingenieros de Telecomunicación de la UPM y abordará las tecnologías para la accesibilidad de las personas con discapacidad, especialmente en su integración laboral. Descripción: El objetivo del convenio es la realización de un movilizador de páginas web para dispositivos móviles, específicamente el servidor responsable de la transcodificación de los materiales y el web service de comunicación basado en SOAP para el intercambio de órdenes a través del estándar OMA. Basado en una plataforma Windows y empleando un núcleo de transcodificación abierto, el sistema da respuesta a la codificación y transcodificación de fuentes para adaptarlas a diferentes terminales móviles y sus capacidades de visualización, encapsuladotes y codificadores soportados, seleccionando de estos, aquellos que permitan optimizar los recursos del sistema. GMV Participación en las actividades del proyecto STANDARDS contribuyendo con GMV Sistemas S.A.
Descripción: Este proyecto trata la realización de la una plataforma para el análisis cualitativo de las audiencias en televisión por medio de la utilización de los terminales móviles de los usuarios del panel para la obtención de datos de hábitos y perfiles de consumo individual. Descripción: GESTIÓN LOCAL Y REMOTA DE RECURSOS Y SERVICIOS SANITARIOS Y TELE-ASISTENCIA (REmote heALTH). El proyecto trata la aplicación de las TIC en el sistema sanitario y distingue tres campos de aplicación distintos en otros tantos subproyectos (SPs). El SP1 aborda las TIC en la gestión intrahospitalaria; el SP2, en la atención sanitaria a pacientes concretos y el SP3, en la difusión de información sanitaria a toda la sociedad. Además, el SP4 trata las cuestiones transversales de seguridad. La participación de la UPM, en régimen de subcontratación por parte de Conmunica Mediatrader, se concentra en el SP3 y, en particular, en la aplicación de emisión del servicio de información sanitaria así como en los criterios de accesibilidad. Descripción: El objetivo principal del proyecto es realizar labores de consultoría para Telvent, Indra y la DGT en el diseño de la nueva red nacional de transporte de información digital, incluyendo vídeo (de todas las cámaras desplegadas por todo el territorio, a nivel nacional), datos de estaciones meteorológicas, información sobre sanciones generados por los elementos de sensorización y captación de infractores, así como comunicaciones internas entre centros de control. La red debe verificar requisitos específicos de QoS, incluyendo seguridad, confiabilidad, redundancia, privacidad, MTBF, MTTR, protección, etc., permitir el uso de equipamiento estándar (en la medida de lo posible), facilidad de configuración y gestión centralizada, y evolución futura en función de nuevas necesidades que surgan a la DGT. Descripción: El objetivo del convenio es la realización de un informe de análisis de calidad objetiva basado en la métrica de PSNR, recogida en la ITU J144-R, de 4 secuencias test de Alta Definición, seleccionadas por TI+D, y codificadas en MPEG-4 AVC/H.264 con 4 tasas binarias de 6Mbps, 9Mbps, 12Mbs y 15Mbps. Se pretende que los resultados obtenidos faciliten la interpretación de las evaluaciones subjetivas basadas en la ITU BT.500 llevas a cabo por TID, con anterioridad a estas medidas. Descripción: El proyecto consiste en el desarrollo de herramientas y algoritmos que permitan la evaluación objetiva de la calidad de vídeo en resoluciones bajas, propias de dispositivos móviles, sin emplear para dicha medición la imagen de referencia, es decir, sin realizar una comparación de la secuencia de vídeo original con la imagen de vídeo degradada tras un proceso de codificación. Los resultados de las medidas objetivas se equipararán en lo posible a los resultados obtenidos en una serie de medidas subjetivas realizadas con observadores reales, obteniendo un resultado dentro de la escala MOS. LGAI. Investigación de métodosde gestión de archivos audiovisuales interoperables para móviles y receptores digitales. Descripción: . En este convenio se pretende desarrollar las técnicas y algoritmos necesarios para la homogeneización y corrección radiométrica de imágenes de satélite y fotografías aéreas aplicadas a la composición de los mosaicos adecuados para efectuar la cobertura del territorio español. Además se pretende realizar correcciones cromáticas con el fin de obtener imágenes con colores reales. Descripción: Este convenio tiene como objetivo avanzar generar un conjunto de productos necesarios dentro del Plan Nacional de Teledetección, en lo referente a segmentación y clasificación de imágenes multiespectrales (LANDSAT y SPOT) y ortofotos (PNOA); a la vez que se fortalecen las líneas de trabajo conjunto entre el IGN y los diferentes grupos de investigación de la UPM (DATSI-FI, G@TV-ETSIT y GPDS-ETSIT). Consultoría para el diseño de la nueva red de comunicaciones en vídeo del centro de control de tráfico de la DGT. INDRA. Descripción: Sistemas in-home para la protección de contenidos en los intercambios entre terminales del hogar a través de cualquier cable disponible en el hogar: cable eléctrico, cable coaxial y cable telefónico. Descripción: Acuerdo de prestación de servicios entre H2O y UPM para la participación en este proyecto singular estratégico. Descripción: Análisis de sistemas de representación digital de productos y servicios audiovisuales que generen valor en forma de propiedad intelectual. Descripción: Investigación de sistemas de gestión y presentación de contenidos multimedia en redes convergentes para IPTV. Descripción: Investigación y desarrollo de nuevos sistemas de visualización de contenidos en dispositivos móviles multimedia. Descripción: Gestión local y remota de recursos y servicios sanitarios y teleasistencia. Descripción: Gestión local y remota de recursos y servicios sanitarios y teleasistenci. Descripción: Este proyecto pretende integrar los nuevos estándares de representación de gestión de derechos en redes punto a punto en el mercado actual de contenidos, con el fin de dar respuesta al nuevo y ampliado espectro de necesidades y usos de contenidos y entornos. La definición y desarrollo de la plataforma que propone este proyecto persigue ahondar en el esfuerzo de generar un nuevo modo de distribuir contenido digital online aprovechando los desarrollos existentes en el mercado con el fin de promocionar aquellos estándares cuya implementación favorezca una interoperabilidad estándar y de mayor potencial de difusión a nivel europeo e internacional. Descripción: Se trata de un marco de colaboración cuyas líneas se centran en la formación de personal propio de SOGECABLE por parte de personal del G@TV en temas vinculados con las tecnologías relacionadas con la televisión digital y la formación de personal de la UPM para la posterior colaboración con SOGECABLE. Otro aspecto importante es la investigación, el desarrollo y la innovación en el ámbito de la televisión digital (captación, procesado, transmisión, almacenamiento, codificación, difusión, recepción, interactividad y accesibilidad). Por último destacar la creación y puesta en marcha de un laboratorio de investigación, experimentación y verificación de interoperabilidad de los temas expuestos anteriormente. VARIM. Visión Artificial aplicada a la Reflectografía de Infrarrojos Mecanizada. Descripción: El proyecto VARIM trata de aplicar técnicas de Visión Artificial a la técnica de reflectografía de infrarrojos utilizada para extraer el dibujo subyacente de una obra pictórica. Así, en esta fase del convenio se está mejorando una aplicación informática desarrollada anteriormente para ampliar algunas de sus funciones como es la composición automática del mosaico reflectográfico, la eliminación del patrón de ruido asociado a la cámara o la mejora de la Intefaz Gráfica de Usuario para hacerla más fácil e intuitiva de usar. Descripción: Este convenio tiene como objetivo diseñar y desarrollar unos algoritmos de control automático de iluminación en un sistema de clasificación de vehículos en una aplicación de tele-peaje. Descripción: Asesoramiento en materia de tecnologías ITS aplicadas a una autopista de peaje. AZERBUS. Xpertia Soluciones Integrales S.L. Descripción: Colaboración en la impartición a terceros de cursos de formación sobre televisión, en apoyo al proyecto. Análisis de la viabilidad de despliegue de la televisión digital de alta definición. Asociación FORO HD. Investigació, promoción y difusión de la Televisión de Alta Definición. Descripción: se trata de un acuerdo de colaboración para el desarrollo de proyectos conjuntos de Investigación y desarrollo de la tecnología de la televisión de Alta Definición y su proyeccion hacia los hogares españoles. El principal objetivo es promover entre los consumidores finales el conocimiento y trabajar por la divulgación de la Alta Definición facilitando y acelerando así el proceso de transicion a la tecnología audiovisual de Alta Definición.